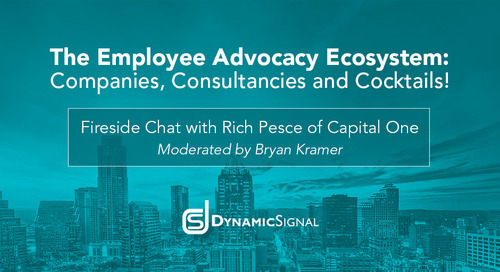 The Employee Advocacy Ecosystem: Companies, Consultancies and Cocktails! Communications, PR and advertising consultancies around the world know the daily use of social media is inescapable for most and that employees are most trusted by their peers. These agencies work with customers to plan, deliver and execute employee advocacy programs with their clients, delivering the best information into the hands of the right employees in an engaging and shareable way.